It’s official, the white van still cuts it with you guys, it seems it’s the only colour that will really do! 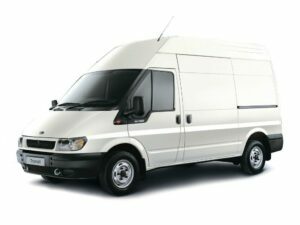 White is still the most popular colour for van drivers. It has apparently been that way for over ten years and it really doesn’t show signs of changing. White LGV’s dominate the roads but a study by Direct Line for Business also found the biggest increase in sales has been in silver-coloured vans – up by 8% in the past decade – while there has been a 4% fall in red vans. We can back up those stats as our car park has definitely seen an increase in silver vans, though white remains dominant in Northolt. The white van has become a British institution, mentioned in the same breath as the Black cab or the London bus. The research also found that there are more vans on our roads than ever before. The number registered in Britain increasing by more than 700,000 since 2003 to 3.3 million in 2013. This leads many to think that small business is on the up, with the trades seeing a potential boom in business over the next couple of years if the skills shortage continues. Darlington was Britain’s van capital in 2013, with 611 vans registered for every 1000 residents in the town, compared to 68 per 1000 nationally.